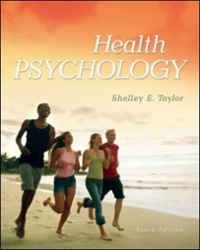 Health Psychology 9 Edition Since the first edition was published in 1986, this text has helped thousands of college students learn how to maintain their health and guard against illness. The goal of Health Psychology has always been to make research accessible in a way that integrates theory with practical applications so that people can lead healthier lives. The importance of social relationships, health behaviors, and co-management of health and illness are themes that are woven throughout the text.